In the face of the continuously changing challenges of the digital age, it is difficult for quality news journalism to survive on any significant scale if a means for adequately funding it is not available. 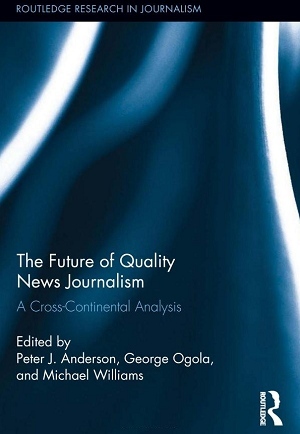 Its detailed evaluation encompasses also the different ways in which wider key issues are affecting the prospects for quality news as a core ingredient of effectively working democracies. It focuses on the United States, the United Kingdom, South Africa, India, Kenya, and selected parts of the Arab World, providing a comprehensive cross-cultural survey of different approaches to addressing these various issues. To keep the study firmly rooted in the “real world” the contributors include distinguished practitioners as well as experienced academics.